At the end of my “cousins trip” I met my husband and friends on Martha’s Vineyard. The only way to get to the island is by ferry, private boat or plane, or Cape Air. Visitors should only fly Cape Air if they have absolutely no schedule, since Cape Air’s schedule is as relaxed as the island. We took Cape Air. We had absolutely nothing to do for the weekend, but–to do nothing. The company was great, the environment was soothing to the soul. Martha’s Vineyard is all about being lazy. And oh, we did that so well. On the island, it seems that no one is in a hurry. The boats are slow, the birds are tranquil and the need for speed seems nonexistent. Even the critters are calm. 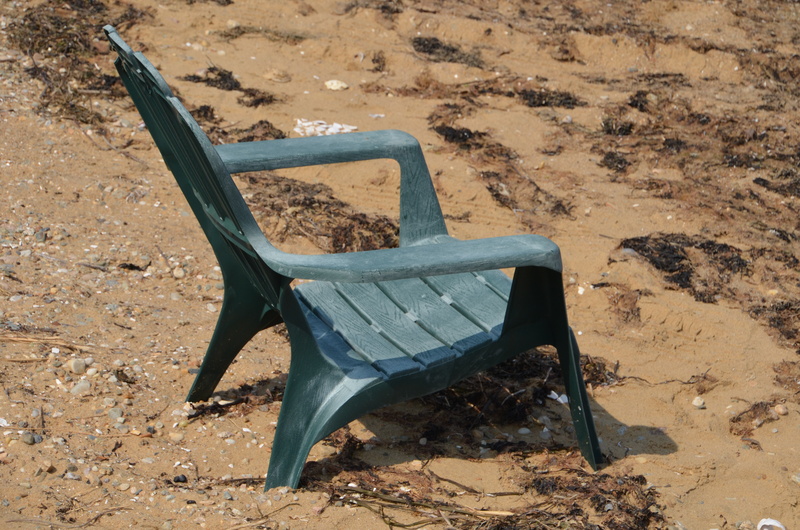 We found this old chair sitting abandoned on the beach. apparently the owner just wants it there in case s/he comes by and wants to sit. 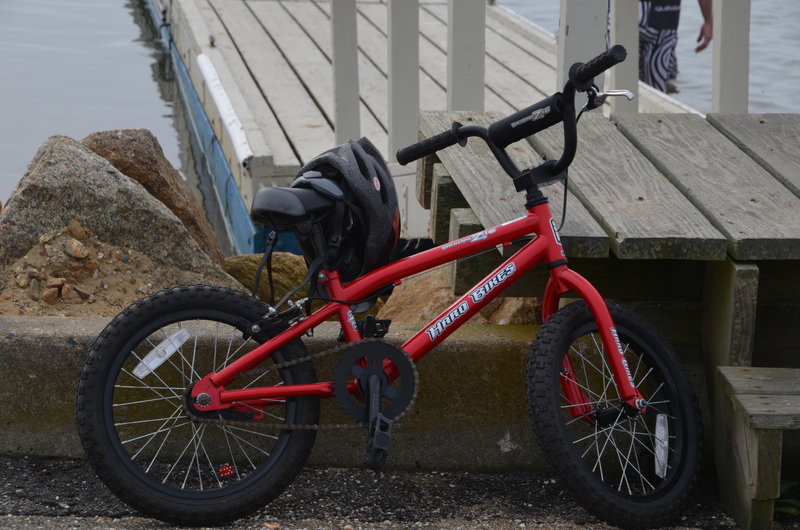 The bicycle seemed to be the same situation. I did not see any children anywhere nearby. Perhaps the islanders not only live a relaxed lifestyle, but also a trusting one. Boats are everywhere, but canoes, trawlers and similar low speed boats are preferred to power boats. And like everything else, there seems to be a casual attitude about guarding one’s possessions. I suspect nearby clam diggers may have been responsible for this boat. 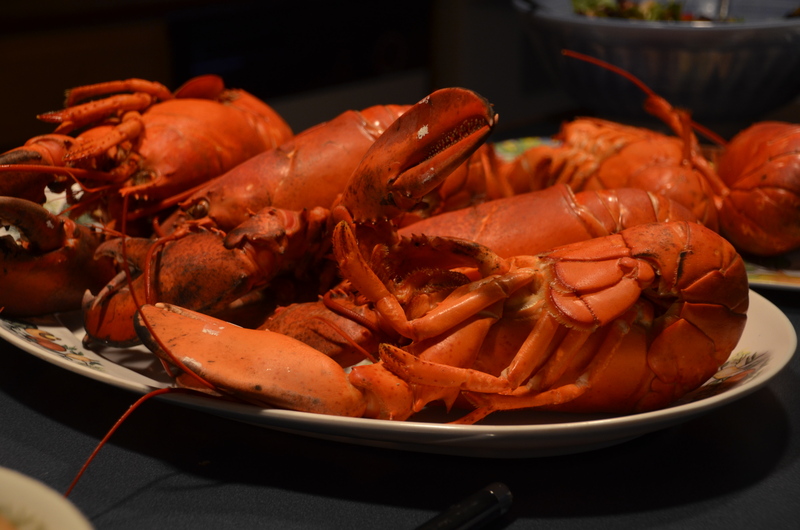 While life is casual, laid back and relaxed, food, especially lobster, is serious business. There is nothing better than fresh lobster, fresh corn and key lime pie shared with friends. Hope you have a great and restful weekend. 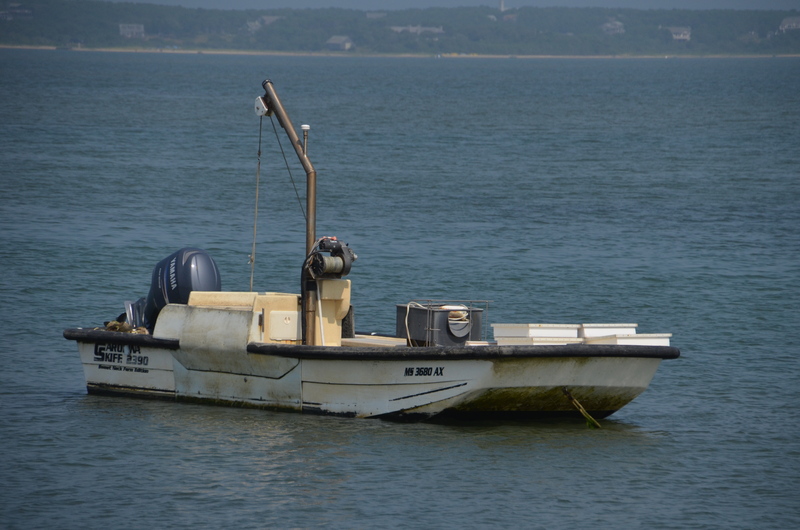 This entry was posted in Community, Photography, Travel & Adventure and tagged Boats, Cape Air, Ferry, Lobster, Martha's Vineyard, Massachusetts, Relax. Bookmark the permalink. We all need to have days to mellow out, don’t you think. I am interested in your blog. We have written a time or two about buying local and are pleased to know others are really focused on it. It has been a long time since I have had such a weekend on Martha’s Vineyard, and it will be a long time before I have another such weekend, anywhere. Thanks for offering it vicariously. Martha’s Vineyard is such a wonderful place to do nothing. But doing nothing is so much more fun when it follows days of being busy and sharing adventures.